NEW YORK (JTA) — Sheldon Silver, the former speaker of the New York State Assembly, was found guilty on all seven corruption charges against him. 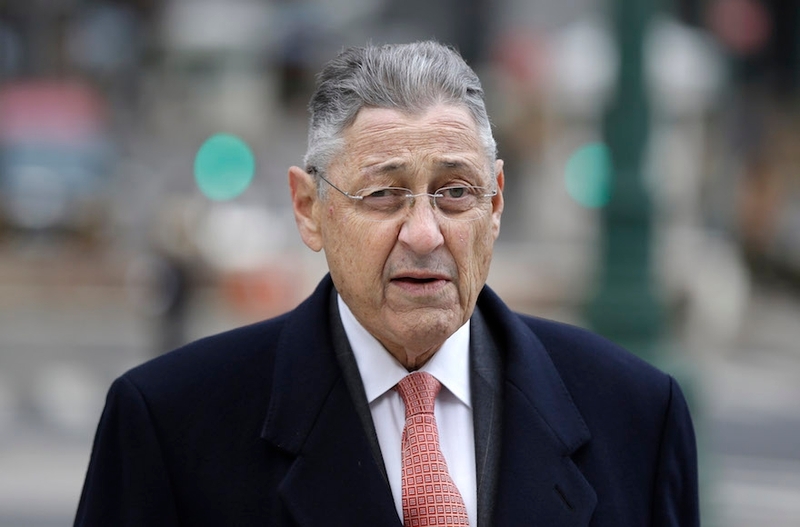 Silver, the Assembly speaker for over 20 years, was convicted Monday in U.S. District Court in Manhattan. He faces a maximum sentence of 130 years in prison, although he will likely receive a sentence of less than 20 years, the New York Daily News reported. “Sheldon Silver got justice, and at long last, so did the people of New York,” said Preet Bharara, U.S. attorney for the Southern District of New York. Silver, who is an Orthodox Jew, was arrested in January on seven counts of honest services fraud, extortion and money laundering. He resigned his post as speaker at that time but retained his Assembly seat. One of the corrupt schemes involved Dr. Robert Taub, a friend of Silver and also an Orthodox Jew, who agreed to refer all his patients suffering from mesothelioma, a type of cancer commonly associated with asbestos exposure, to Silver’s law firm. The deal netted Silver over $3 million in referral fees and injury claims. In return, he gave Taub $500,000 in taxpayer funds for research projects. The second largest scheme involved directing two major development firms into using the law firm Goldberg and Iryami, which gave Silver $700,000 in referral fees. In all, Silver is accused of pocketing over $4 million in bribes since 2002, NBC New York reported.